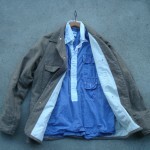 Do you know that we ( I was born and raised in Japan )call this kind of jacket “COVERALL” , most likely in historically accurate blue denim or hickory stripe or ……cotton duck. 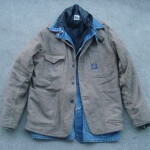 And, I know “COVERALL” is a shortened Japanese version ( Japanese like to shorten ) of the word “ COVERALL JACKET” which some Japanese started calling them in 1970s for unknown reason. 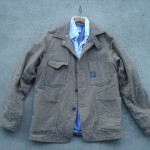 I think “COVERALL JACKET” is not a bad name. 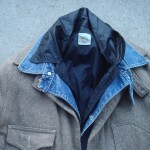 I believe that “ COVERALL JACKET” name could have stuck if some American company had named it so in the history.